The Editor discovers a natural paradise in North Spain, with spectacular unspoiled beaches, a fun-loving capital, romantic fishing villages… and plenty of fermented apple juice. 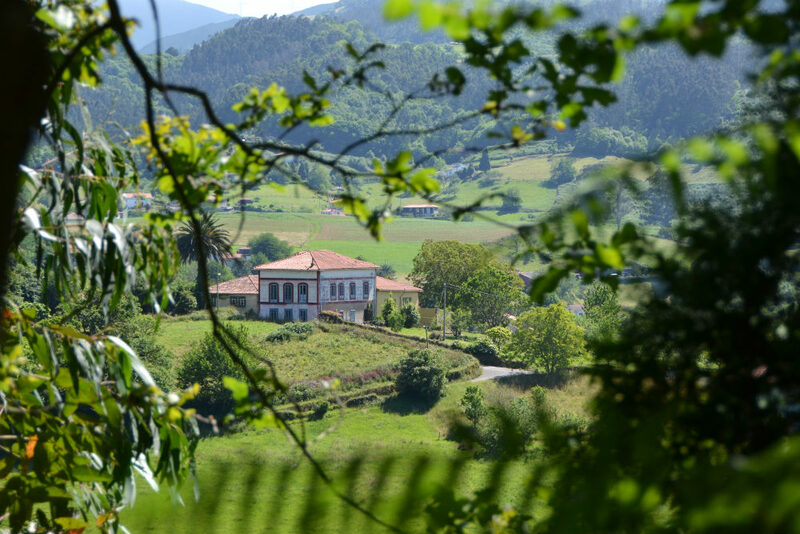 “Cider is the star of the Asturian gastronomy… not only because of the production, but also because of the culture it involves, and the way we live it,” explains Mario García Menéndez, of the Llanes Tourist Board. He’s keen to impress on me that this effervescent apple juice is much more than a tasty alcoholic beverage, and that its delectation forms an important social ritual, starting with the famous manner of pouring the cider from high above into the glass – a feat that takes quite some dexterity – and finishing with the way it’s drunk, which is always down in one. Unfortunately when Mario was explaining all this there was no bottle to hand, and so I have to wait until I reach the capital of Asturias, Oviedo, to share and taste this ritual myself at the Tierra Astur Ciderhouse. 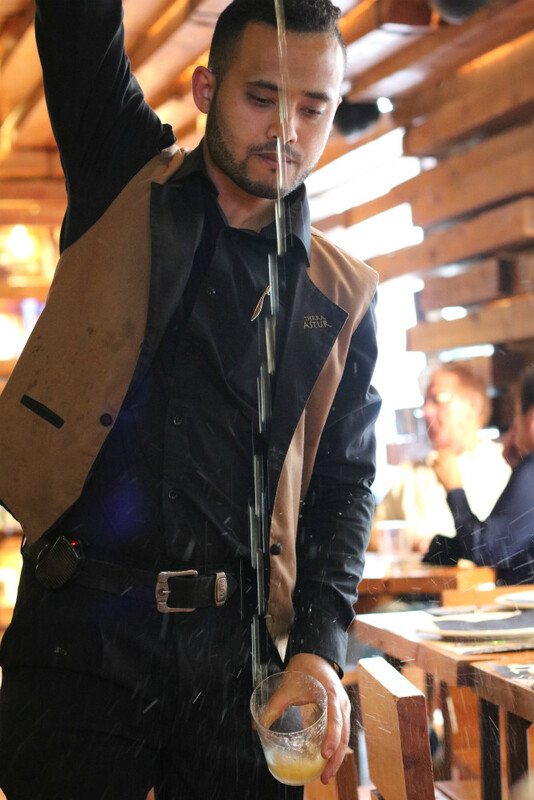 After first attempting a high pour myself (with the predictable outcome that I soak the table and my feet with barely a drop landing in the glass), I ask the local waiter to show me how it’s done. 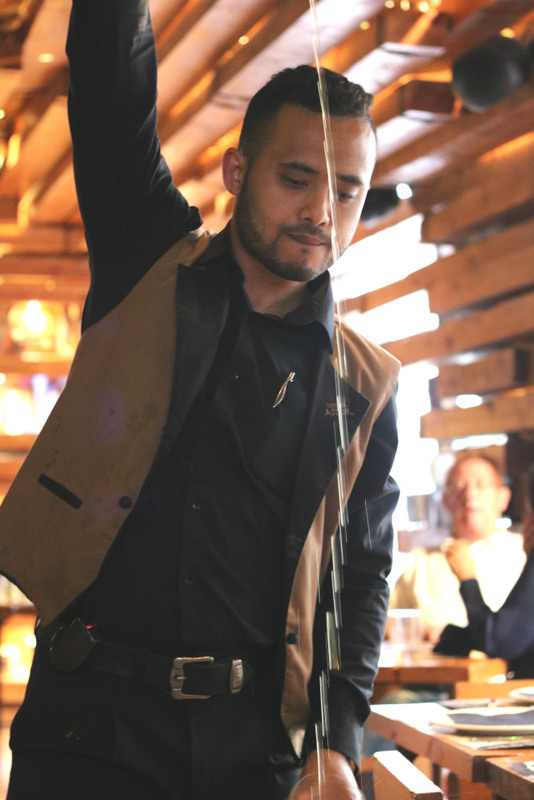 With the seriousness of someone performing a sacred ceremonial act, mixed with ill-concealed scorn for my own efforts, he holds the bottle high above his head with one hand, and with the other cups the bottom of the glass next to his hip, before proceeding to pour with uncanny accuracy, the hootch from container to vessel. As the sparkling libation fizzles with life, I recall Mario’s words, letting the bubbles tickle my nostrils before swigging down the sweet and tangy draught in one. I celebrate with a delicious fruity burp. It’s hard to listen to Mario and not to picture a group of weathered and honest Asturian farmers from simpler days passing around a bottle, with one glass between them, in a rustic sidrería, its floor covered in sawdust to absorb the falling drops; or else imagine them out in the fields at one of the local fiestas that still take place in villages all across Asturias during summer, celebrating friendship, the land and life itself. After an action-packed tour of the region, here are seven of my favourite attractions, including a wonderful boutique hotel. 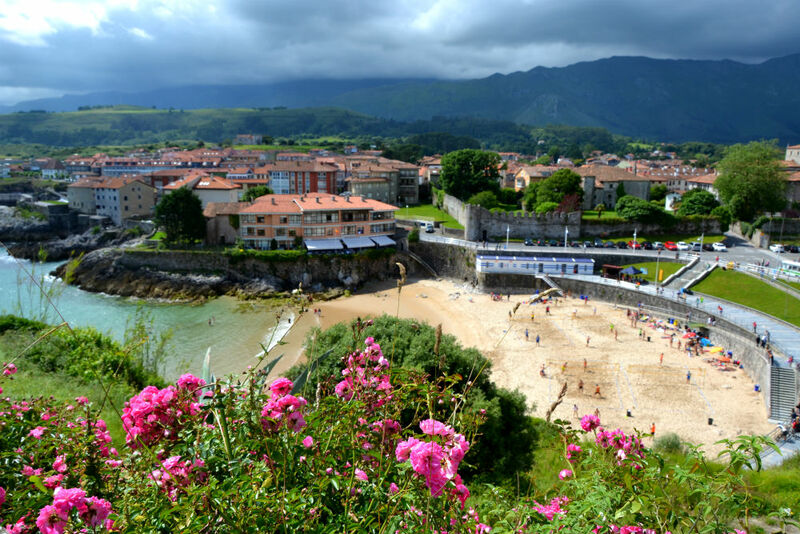 This small fishing town of 4,000 people was the first place I visited in Asturias and is a fantastic place to start your explorations of the region, not least because of the 32 beaches that crop up on just 45km of coast. The town itself is also very charming, with a port, attractive church, enclosed urban beach (the site of a volleyball tournament on my visit), a splash of nightlife and even poetry on the streets, but more than anything the town is the gateway to the region of the same name and some of the stunning scenery in the vicinity. In fact the scenery starts close to home with the dramatic cliff-top walk, known as the Paseo de San Pedro, where you can look out to the silvery blue sea from the top of a grassy bluff, or back over to the moody green mountains that rear up close behind the city. More info here. 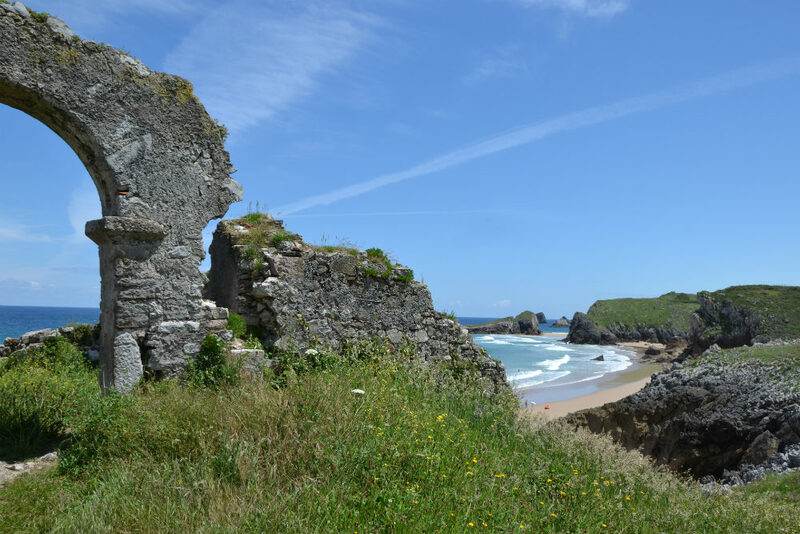 From Llanes town we hired bikes and set off along the coastline to the nearby settlement of Niembro. It was one of the most memorable rides of my life, and not only because I managed to electrocute myself on an electric fence whilst taking a pee, but also because of the incredible beaches and unspoiled coastline I discovered en route. Azure waters lapped up gently onto satin smooth ochre sands, underneath craggy bluffs topped with green verdure. My favourite was Playa San Martin, which was lent additional romance by the crumbling remaining of an old hermitage perched atop of the cliffs. Best of all this stretch of beaches was almost completely deserted – even on a scorching hot Sunday in June! As someone who usually has to fight for a place to put their towel on the artificial sands of Barceloneta any time between May and September, the irony of seeing some of the most naturally beautiful beaches I’ve ever laid eyes on almost completely free of people was mind-boggling. 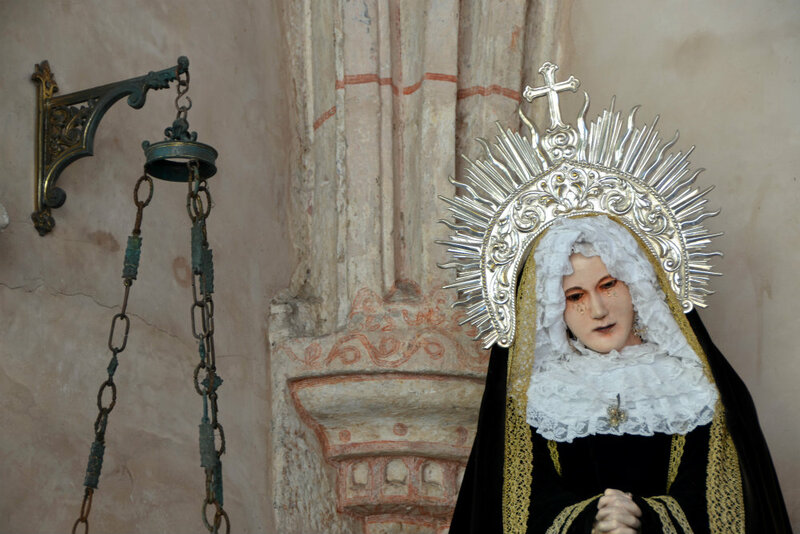 The message: get thee to Asturias now! Ever since Woody Allen’s Vicky Cristina Barcelona I’ve associated Oviedo with having threesomes with Scarlett Johansson and Rebecca Hall. 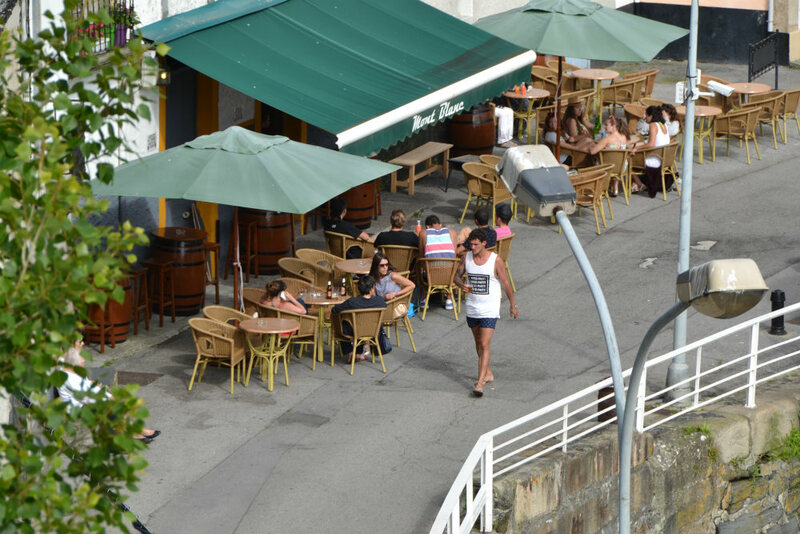 Once I got over the initial disappointment of them not being there awaiting me in my hotel room however, I was able to enjoy the simple charms of the Asturian capital which Woody himself described as: “a delicious, exotic, beautiful, clean, pleasant, tranquil and pedestrianised city. It is as if it did not belong to this world, as if it did not exist … Oviedo is like a fairy-tale.” I probably wouldn’t go quite that far to be honest, however it is an undeniably good looking place that exudes a sleepy charm spiced up a bit by some boisterous drinking and singing in the local bars. Calle Gascona is known as “cider street” and the smell of fermented apples hangs thick in the air from all the bars and sidrerias. It’s probably the most touristic spot in the city, but I’d definitely advise going there for at least one meal if you’re town. 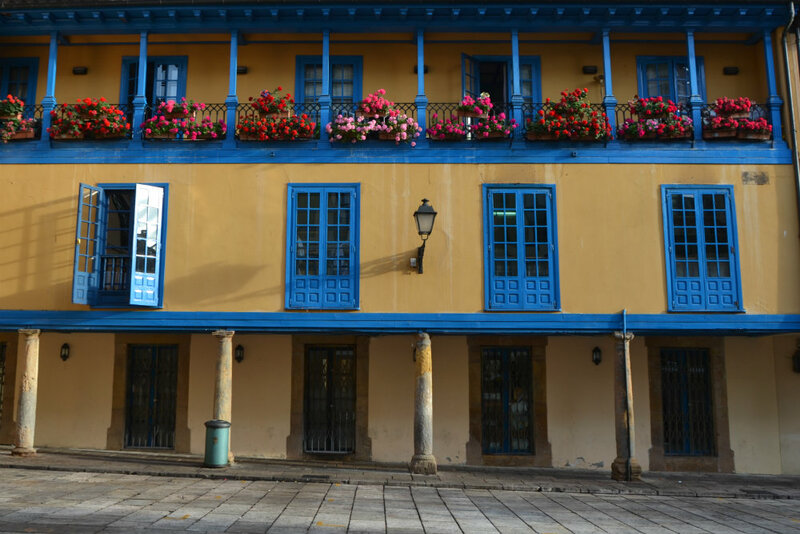 Otherwise my favourite spot was Plaza del Fontan, an enclosed square with colourful blue balconies and shutters and plenty of restaurant terraces for making merry. 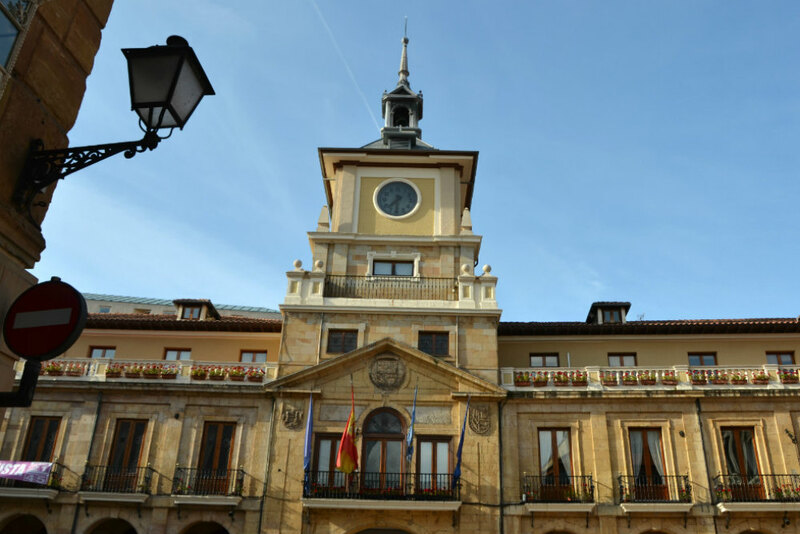 One fun and original thing I did in Oviedo was a theatrical tour by a company called Peregrinando Oviedo. 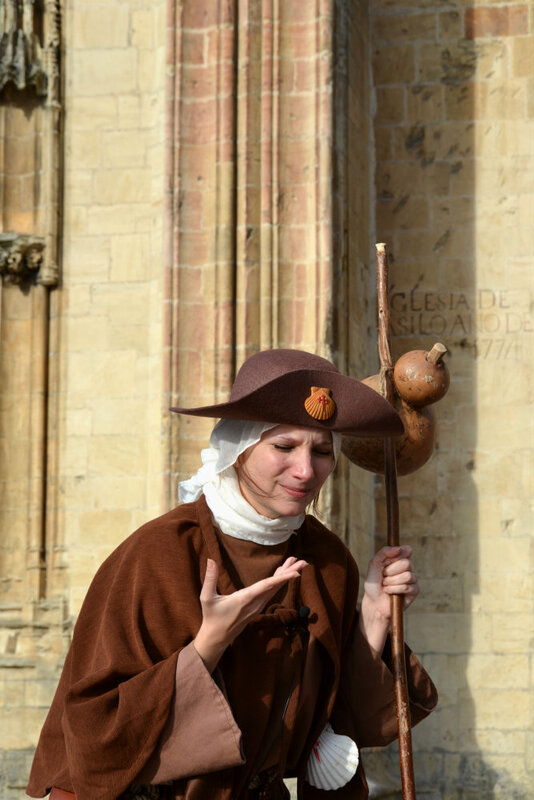 Our guide was dressed in full medieval traveller’s garb and delivered the tour in the role of a holy pilgrim from these times, regaling us with stories of her journey and expressing her joy at arriving at Oviedo’s Cathedral of the Holy Saviour. 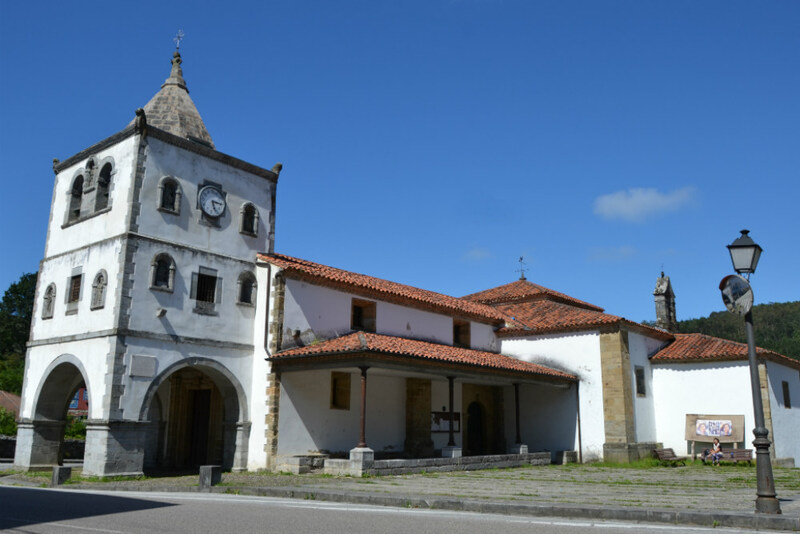 And whilst Oviedo isn’t on the traditional Camino del Norte route, they say that he who neglects to pay a visit to this sacred city in their haste to get to Santiago “visits the servant (St. James), but not the Lord (Jesus Christ)”. 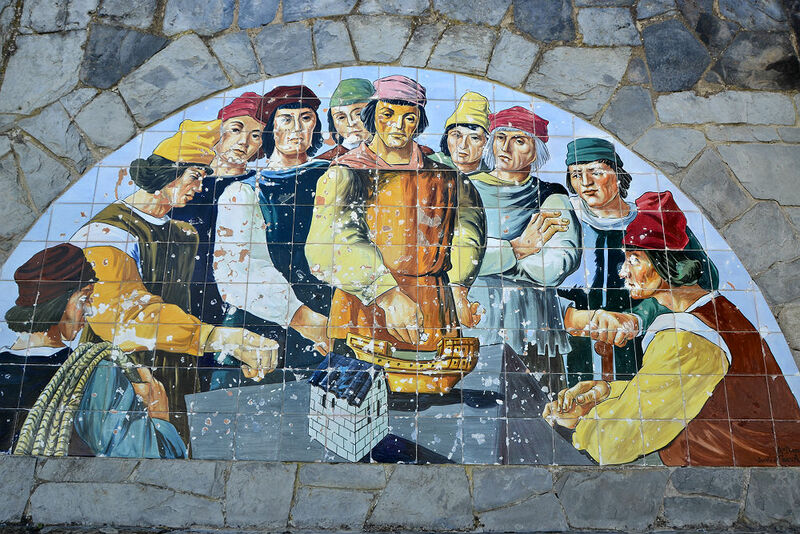 If that wasn’t motivation enough to make a detour, Oviedo is also the start of a separate Camino route to Santiago, the so-called “Original” or “Primitive Way”, as it was from here that King Alfonso II of Asturias himself made the original journey in the 9th century to pay his respects to the newly found remains of the Apostle. 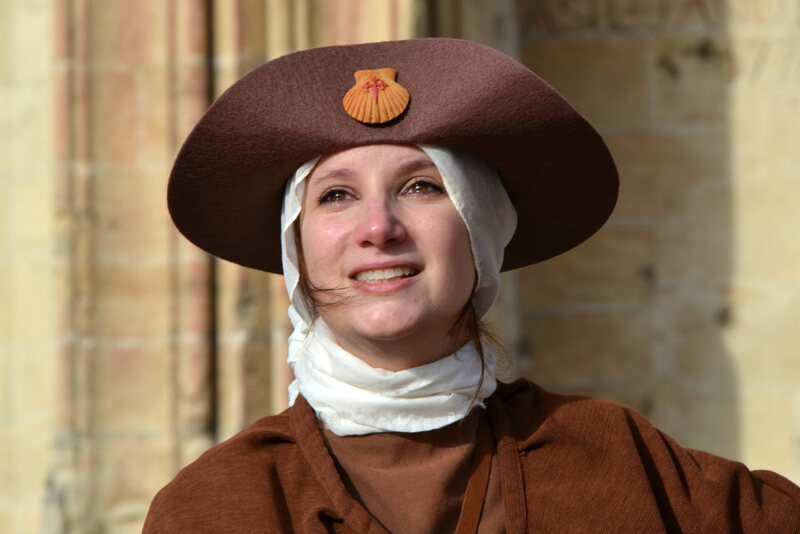 This dramatic rendition of the travails of a pious traveller taught us all this and more, with a touch of humour, and even emotion, as our talented actress even shed real tears in her role of the pilgrim. Tears of joy… or were they just the “festering blisters”? This charming fishing village sits in a horseshoe-shaped bay, climbing up the cliff sides like the steps of an amphitheatre around the stage of the village’s central square. Little paths wiggle up around the slopes offering great views over town and sea, and even a few surprise discoveries en route. For example on one little path we came across a house brightly decorated top to bottom with shells, which turned out to be a tiny museum dedicated to a local artist whose life’s work was made up of crustacean collages. The artist had passed away, but his son lovingly maintains the museum as a tribute to his father’s creativity. 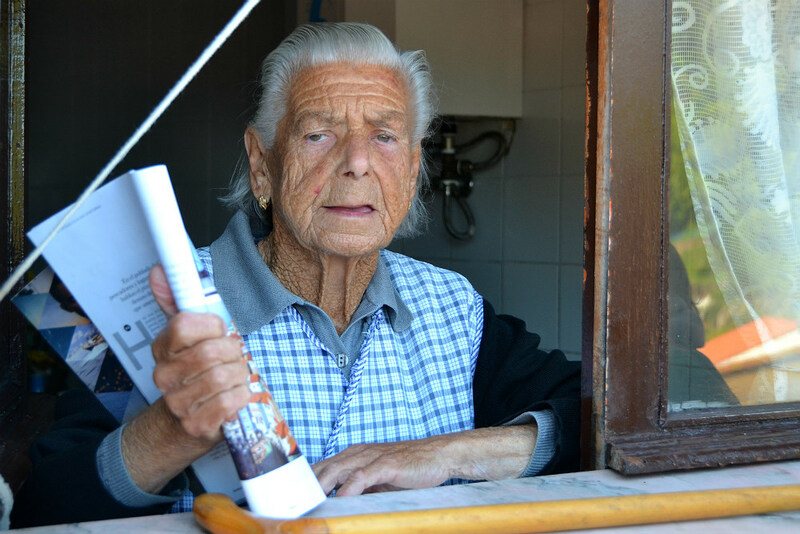 We also said hello to a friendly local lady by the name of Clementina, a 91 year old pensioner who proudly showed us the inflight magazine that she had once featured in – a travel piece about Cudillero. As you might imagine of a fishing village, El Pito is not packed with things to do, besides admiring the freshly-painted houses, their eaves hanging with the drying skins of dogfish, or watching the local cats take in the sun, or enjoying a coffee at one of the many bars and restaurants on the square – but for taking it easy for an afternoon there could hardly be a finer place. The Camino del Norte, or Northern Way, is an alternative pilgrimage to the more established French Way of the Camino de Santiago. 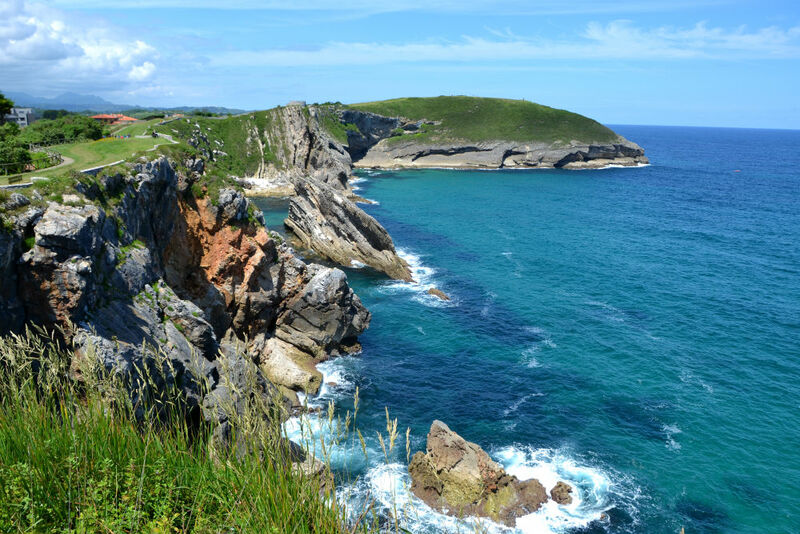 This 800km hike takes you across all four regions of North Spain, ie. 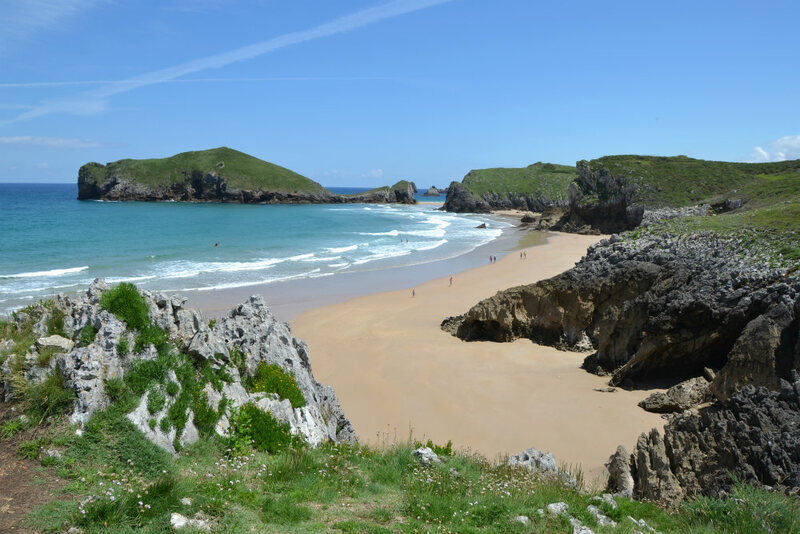 The Basque Country, Cantabria, Asturias and Galicia, often next to the rugged unspoiled coastline and many reckon it to be a more beautiful – albeit a more difficult, and often wetter – route than the French Way. Here in Asturias I myself followed the trail from Lamuno to Soto de Luina, a hike that took me through woodland of bracken and pine and horse chestnut trees, and through fields with farms and the distinctive local granaries (set on pillars to stop the rats getting at them), as well as small villages. Even if you’re not a pilgrim I thoroughly recommend getting on the trail by foot, for at least a short stretch, to get to know this land in the most intimate way possible – one step at a time. 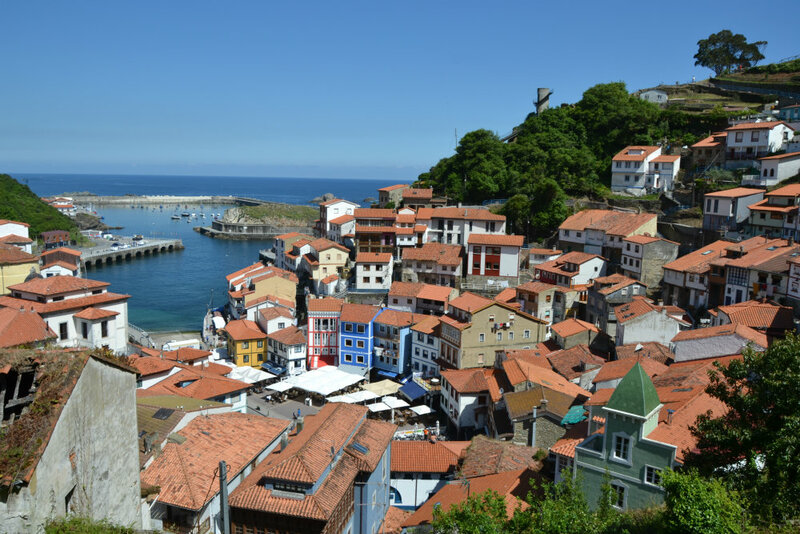 Known as “the white town on the green coast”, Luarca is another attractive fishing village of white-washed houses on the Asturian coastline, but this time considerably bigger than Cudillero with a bit more to see. For me the most fascinating place was the historic slate table in the fisherman’s quarter where the sailors would meet each day. On mornings when the weather was particularly rough they would cast a vote on whether they should set sail that day, or stay at home, by placing a token into either a model ship or a model house. If more tokens were placed in the boat, off they sailed, more in the house and it was deemed safer to stay at home – fishing after all can be a dangerous business in these storm-filled waters. This was an early example of micro-democracy in action and indeed the community-minded locals also provided for the widows of dead seamen, by reserving them their fair share of any catch. Aside from learning about these old traditions I also loved the seaside cemetery, with its gleaming white gravestones overlooking the Atlantic, and the port itself was fun to spend some time in, with colourful boats moored to the quay and several bars full of a young people (watching Euro 2016 at the time of my visit). 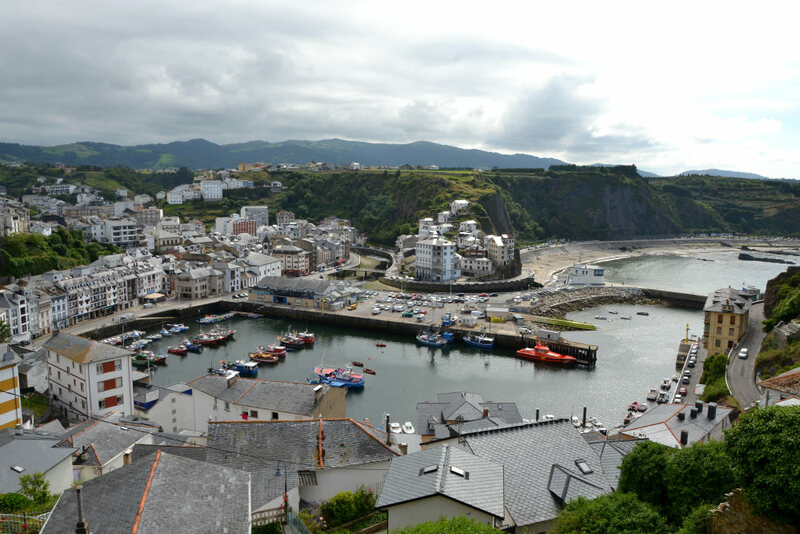 More info on Luarca here. 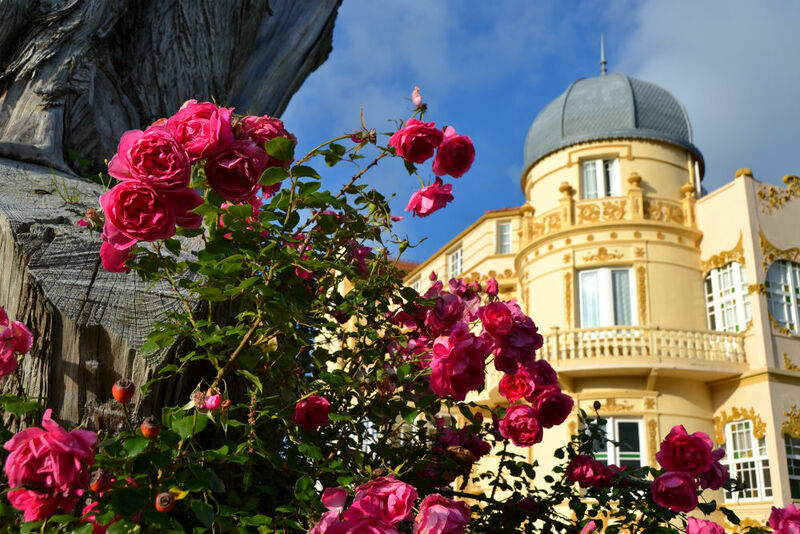 Designed by a pupil of none other than Antoni Gaudi, the Hotel Palacete Penalba is a whimsical yellow palace from 1912. On the occasion of my visit the hotel was thrown open just for myself and fellow bloggers from The Travel Mob and we raced each other up the red carpeted stairs to get the best rooms… but the truth is they were all amazing! Beds so big you might get lost in them, fin-de-siecle furniture, gilded mirrors, art nouveau touches to the decor, and classic works of literature laid out on tables and dressers, the place was full of fantasy. On the negative side neither the jacuzzi in my room, nor the wifi worked, so whilst the romance was there, the management could perhaps work on the mod-cons. Duncan experienced Asturias as part of the #InGreenSpain blogtrip organised by The Asturian Tourist Board, Spain Tourism and The Travel Mob. All opinions expressed are his own. I’m a teacher in Asturias, and we are working on a project in my language school about the Camino de Santiago. 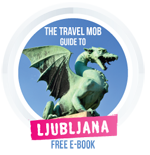 I came across your travel blog with really interesting information about the Way in our area. Would you allow me to share it in our school blog? Thank you so much for sharing it anyaway. Of course, please just link back to the original article. Thanks Yolanda!